Do you want to change the registered mobile number of your Aadhaar card? You do not need to go to any aadhaar centers to do this work, you can do this work online in just 10 minutes. When you apply for Aadhaar card, it is important to register your mobile number, only then you can change/update the details of your Aadhaar card online. If your mobile number is not registered then you can not change your Aadhar card details online. If your mobile number is registered with Aadhaar card and you want to change that mobile number then you can do this work online. So let us see how you can change the registered mobile number online of your Aadhaar card. For your information, let us know that you can only change the registered mobile number of your Aadhar card, you can not register mobile number. If you want to register your mobile number then you will have to visit Aadhaar center. To change/update your Aadhaar Registered mobile number, first visit UIDAI official website. 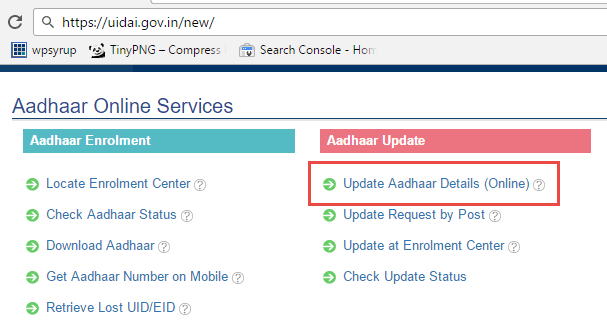 1 After open UIDAI official portal, you can see Update Aadhaar Details (online) link, just click on it. Now new tab will be open in your browser. 3 In next page enter your 12-digit aadhaar number, text verification and then click Send OTP. 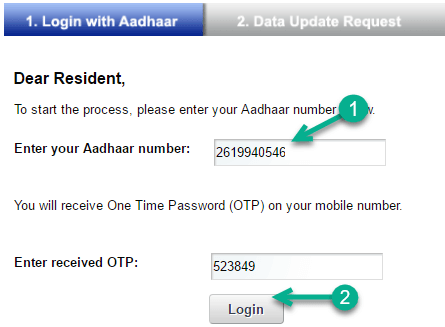 Now you will receive OTP password on your current registered mobile number. 4 Now enter received OTP password in next screen and click login. 5 Next page you can see different update option like name, DOB, Address etc. Here you need to select Mobile number & click on submit. 6 Now enter your latest Mobile number in next screen and hit Submit update Request. Next screen confirm your Request by clicking on proceed. 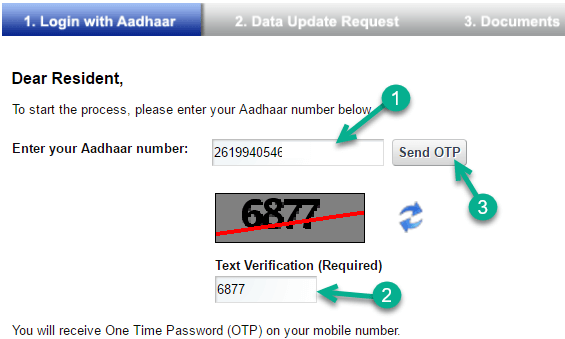 7 And last step, you will receive OTP on your new mobile number, just enter OTP here and click on submit. Done! Your Aadhaar card Registered mobile number change Request submitted successfully. You will receive URN number to track your application. When will my number update? After submitting an update request, within 7 days your mobile number will be updated. You can check this by entering your URN number. So this is a simple procedure to Change/update your Aadhaar Card Registered mobile number. Remember, if your mobile number is not registered then you have to register first to update your aadhaar details online. I HAVE SURRENDERED THE MOBILE NUMBER, REGISTERED WITH THE AADHAR CARD. NOW I WANT TO GET REGISTER MY CURRENT MOBILE NUMBER. PLEASE SEND ME THE LINK ACCORDINGLY. To change online aadhaar card registered Mobile number, you must have old number which you surrendered. Now visit any adhaar center and register new mobile number. hi.. i have lost my registered mobile numer can you tell me how to link my new phone number??? To register new mobile number with Aadhaar card, you must visit nearest Aadhaar center. I HAVE LOST REGISTER MOBILE NUMBER, 8xxx345 WITH AADHAR CARD. NOW I WANT TO REGISTER MY CURRENT MOBILE NUMBER. 949xxx90 PLEASE SEND ME THE LINK ACCORDINGLY. I want to change address in Aadhar Card but mobile number not ragister, so no getting OTP, now please help to know what i do to add/Update my mobile number in aadhar card to change Address, Can i add my mobile number in Aadhar Card online? If no then tell me can i add through bank ? You have to visit Aadhaar center OR Bank where aadhaar update facility available to register mobile number. For update my mobile number online, there is no mobile number field. Only address field . Why ? Please help me. You have not registered your mobile number, that’s why. You can change mobile number. 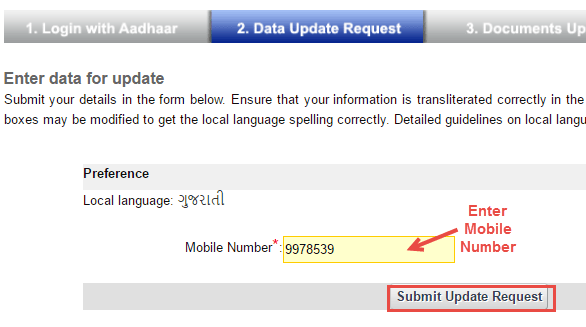 If you have registered mobile number, then wait for some time it is technical bug. For update my mobile number online, there is no mobile number field. Only address field is there. 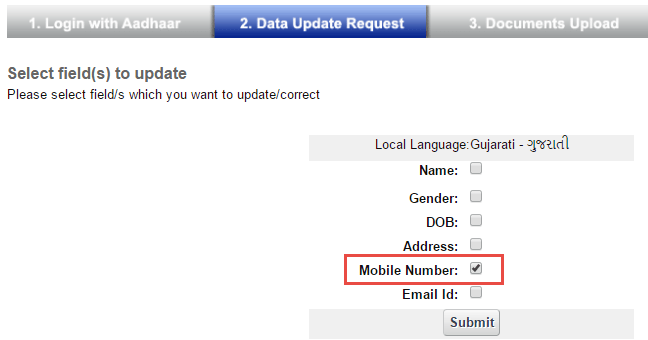 I have registered mobile number but can’t get mobile number/email updation option. Yes you are right. UIDAI has removed those option. 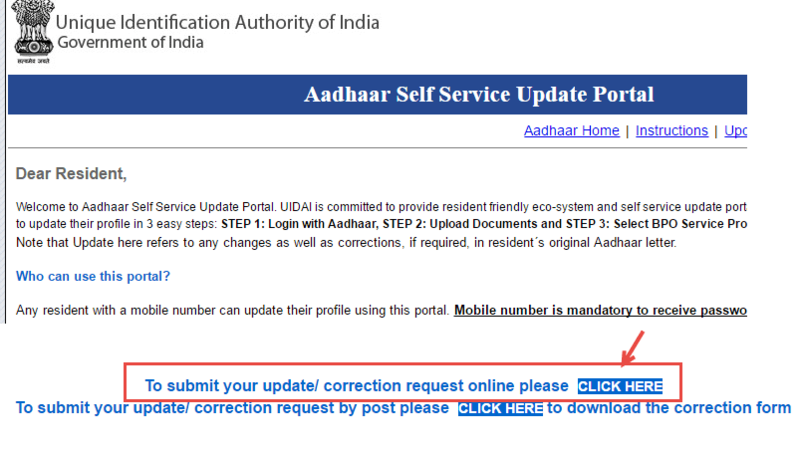 Now you have to visit aadhaar center to update mobile no. i forgot which mobile number am given in aadhar registration how to I get the mobile no. how do i find that, if my mobile or email is linked to aadhar? Aadhaar Card mentions wrong Mobile Number and the person who is holding this wrong number does not understand the requirement of sharing the OTP, as a result I am unable to rectify the mobile number on my Aadhaar Card. How do I get my correct mobile number on the Aadhaar Card? You neee to visit aadhaar center to update or register new mobile number. After Complete biometric verification your number will be changed.